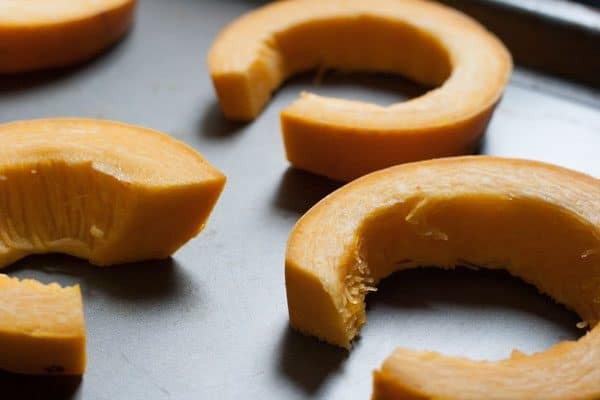 Last Autumn we discovered Spaghetti Squash and as I walked past the farm shop on the way home from the children’s school this week I noticed the squash varieties in there and one was spaghetti squash. I loved trying it last year so I have to buy a few and one of the reasons is I love it as a gluten free alternative for some of my favorite pasta dishes. 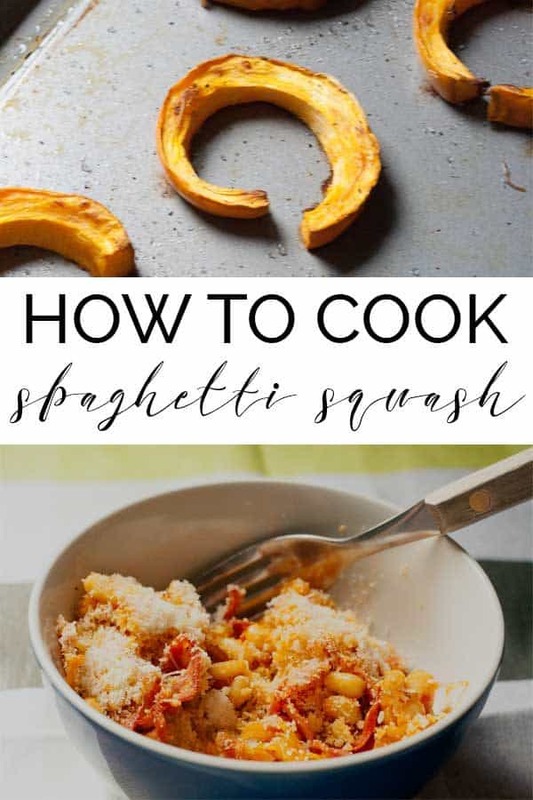 So to get you started I’ve put together a how to cook spaghetti squash for you just in case like me you decide that you have to try it (well it was there so I had to buy it). 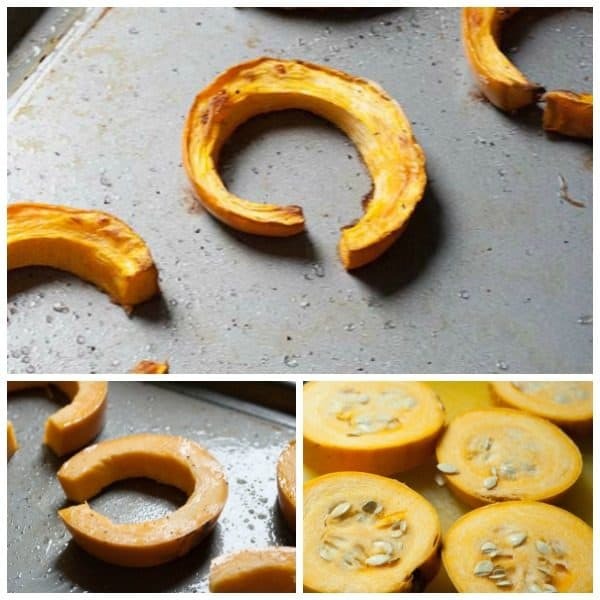 It looks delicious doesn’t it and it’s so easy to prepare and taste delicious as well. 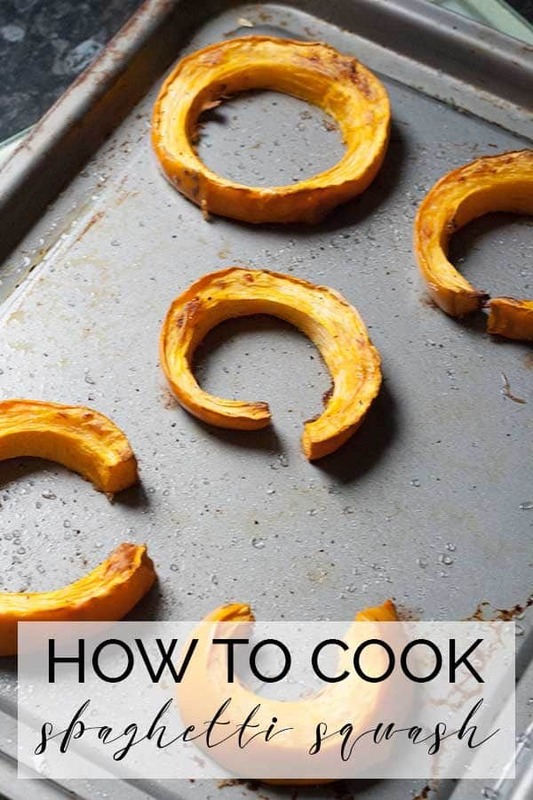 Start off by washing the skin of the spaghetti squash. 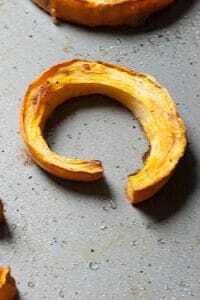 Now slice the spaghetti squash into roughly 1 inch thick slices. Scoop out the seeds from the center – you will see the difference in the texture, where it looks spongey all of that needs to go – we save the seeds to try and grow next year. 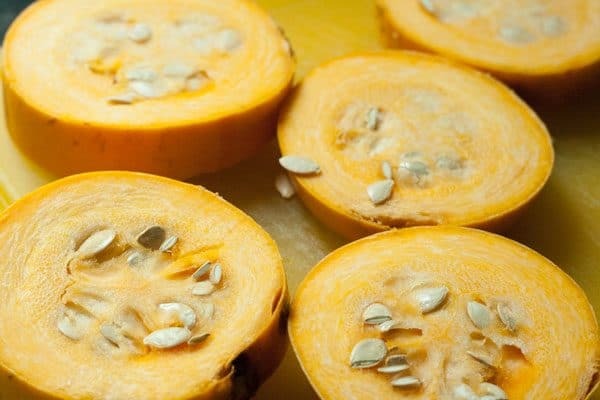 Although a little warning with saving of squash seeds – because all members of the squash family are very close they cross pollinate so if the farm where the squash grows has more than one type of squash growing you are very unlikely to get a true to form variety grown from the squash. 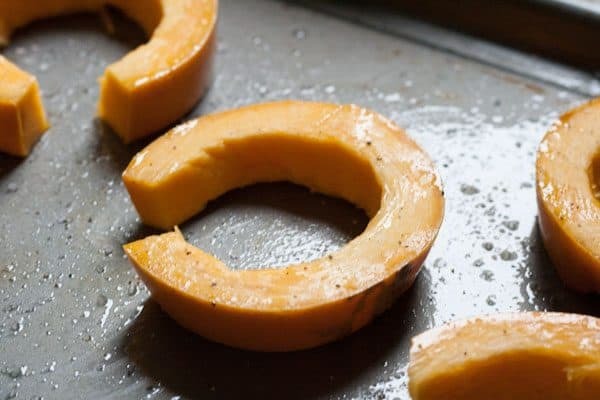 Once you have the slices clear from seeds place on a baking try lined with grease proof paper and drizzle extra virgin olive oil over the top. Season with salt and pepper and I like to sprinkle a little paprika on the top as well for added flavour. Place in the center of a pre-heated over 200C for around 30 minutes until golden brown. 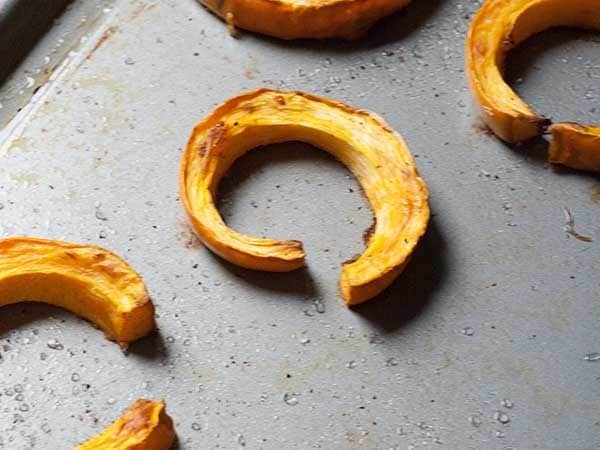 Now leave to cool so that you can touch them around 15 minutes in a warm home. 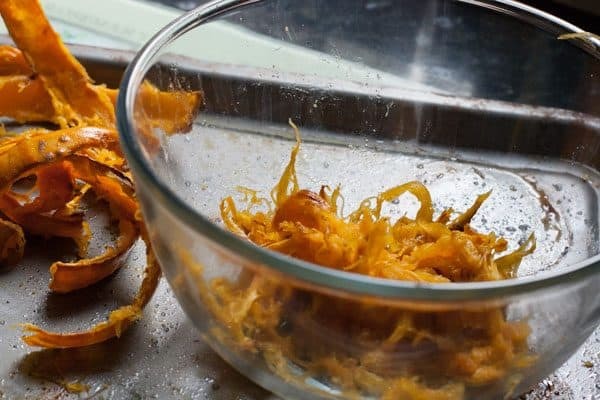 Peel off the skin and break-up the flesh into the “spaghetti-like” strands. 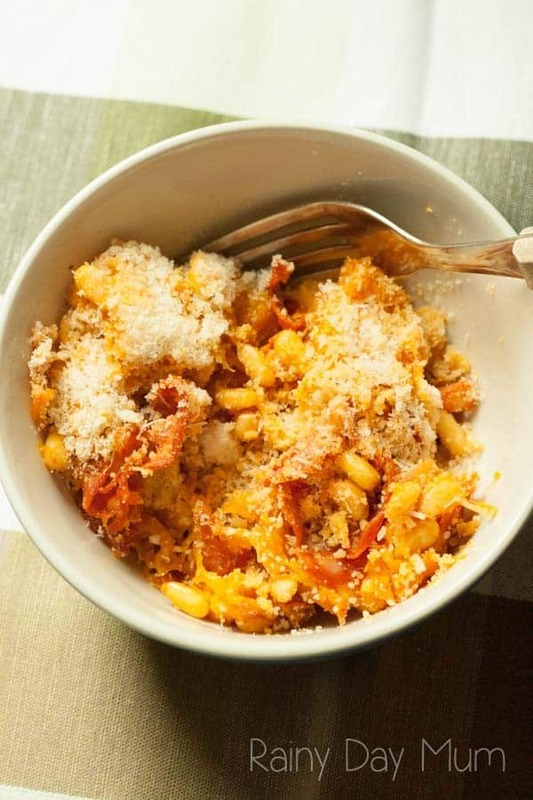 Serve as an alternative to your normal pasta – remembering to give it a little heat before hand. Enter your Name and Email Address below to JOIN NOW!